Make Creative Powerpoint, how? actually creating creative powerpoint is not too difficult, just simple step, but not easy. every people can make good powerpoint on his own, with his own style. Honestly, i am not mastering on powerpoint, but i love powerpoint very much, so sometime i make good powerpoint because i enjoy while make it. Sometimes when you make something, you want to be perfect on it, you try the best you can. It ok, but be careful with your hope? sometime make creative powerpoint is can make you stress, especially when you have a perfectionist personality. just enjoy it, it's make you better when creating it. try do the best you can, and give the rest to you god. 2. You can use powerpoint. It's must. 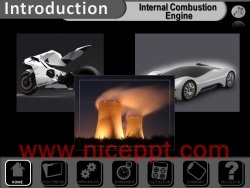 creating nice ppt need you to mastering powerpoint software, at least you can use it. sometimes you need to replace a picture, make a background and also give animation on your side. How you can do that if you can use this software? 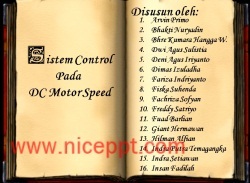 you should know how to use powerpoint, try by your self, it easy just try and error, and you can be master it. If you have a problem with your powerpoint, just go to powerpoint tutorial tag on this web, and follow that step. What is that mean? you must have a sample nice powerpoint before you creating it, you can't make a good powerpoint without having sample. in my experience, i know how to make a slide on powerpoint, it's easy. i also think that my powerpoint is good, but after i meet someone that show what she have, it's wonderful powerpoint. after that condition, i know that i must study again about powerpoint, my knowledge is still lower than her. but now i much better than before, you can also download my powerpoint sample in powerpoint sample tab, and make it your role model. this is the best part how to creating nice ppt, after you have a role model of it, try to break down it and learn how it's work.first time i make nice ppt it also from try by my self, i learn from my friend powerpoint that she gave me. and i try to make a same powerpoint like her, it's difficult you know, but i try the best i can to imitating. after you can make imitation of role model, just try make your own, it's much easier. Sometime, when you make nice ppt it need you to explore your imaginary than creating into a powerpoint. i also sometime hard to do it, but i just focus and try other way. maybe not all my imaginary can i express it, but at least i do my best.the best part to make nice ppt is you must try, try and try, never give up.